Gill Walton with a Bournemouth University’s Senior Lecturer in Midwifery Debbee Houghton and students from Bournemouth University’s Midwifery course. 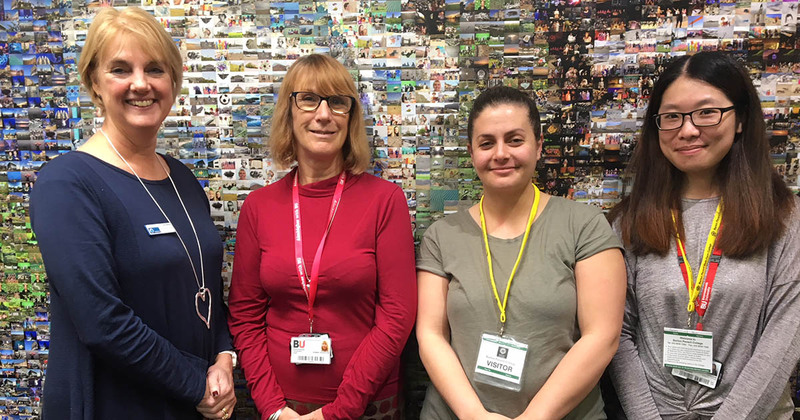 Barton Peveril Sixth Form College welcomed Gill Walton, CEO of The Royal College of Midwives, to give a lecture celebrating the 70th anniversary of the NHS on Friday 25th January. Walton was joined by Bournemouth University’s Senior Lecturer in Midwifery Debbee Houghton and students from Bournemouth University’s Midwifery course, who also gave students an insight into their experiences. Gill Walton is the country’s most senior Midwife and spoke to students about the importance of the NHS and celebrating its 70th birthday, before then offering an insight into Midwifery from all of her experiences in the profession.